This morning Jessica woke up with pancakes on her heart strings, and when that happens, it’s inevitable that will be the thing we will next consume. The only problem is that options for it in Sheffield are extremely limited to two places (of what we know). 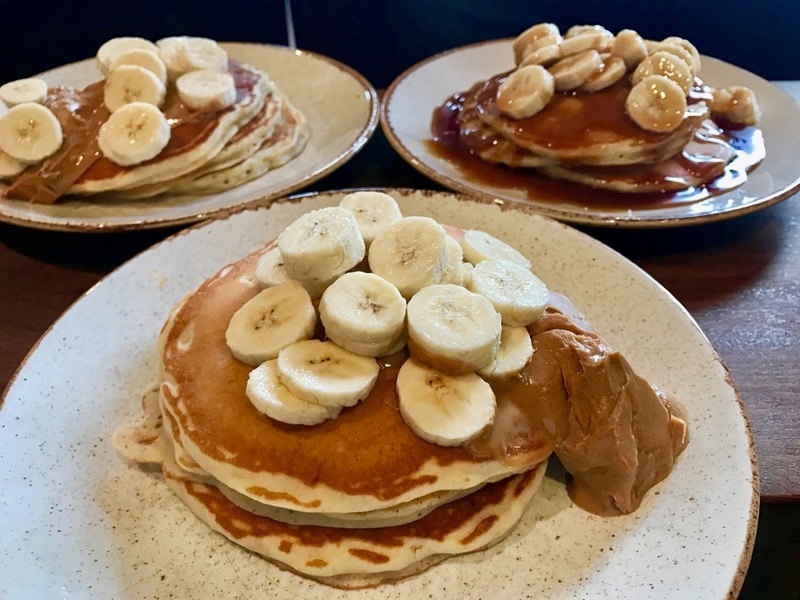 So we were delighted that a Google search presented us with a new place called The Cabin serving exactly what we were after – pancakes, waffles, coffee and smoothies. We were joined by Nelson and from here we went on to Tamper Coffee and The Common Room for today’s football. Back to The Cabin, and after a lengthy wait to receive our food, it went down a treat and the two out of three us managed to finish. Having been to Hanky Panky in Chester on numerous occasions, we would always be comparing to there and we must say, they come very close! The place had a very relaxing atmosphere, and even more relaxing sofas and armchairs. It’s absolutely perfect for a Sunday morning catch up with friends, and I’m sure a great stop after a morning lecture or two. We did feel like we could’ve stayed all day but after a strawberry and banana smoothie, we moved on. Apart from great food, inside was a small shop area which sold cute items from socks to bath scrubs. An odd combination to buy with a waffle, but it gave it an extra dimension and although we didn’t buy anything, everything looked very nice!